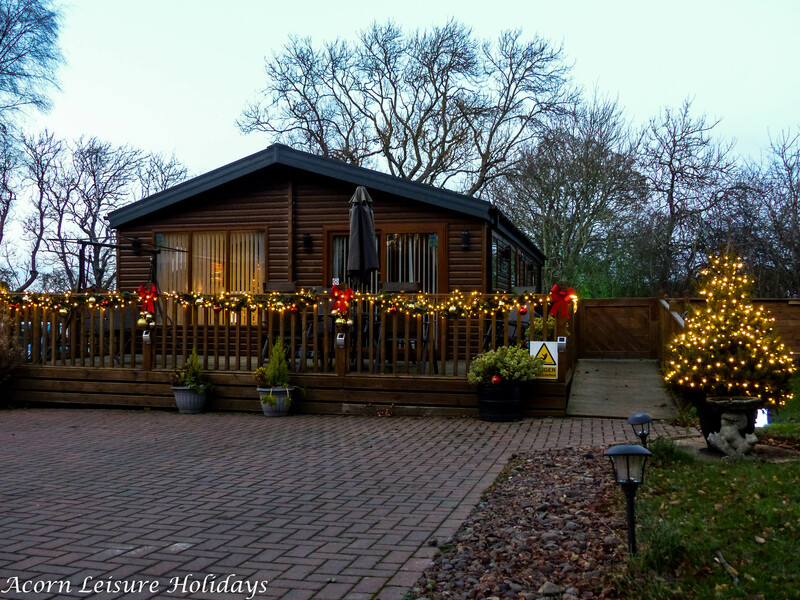 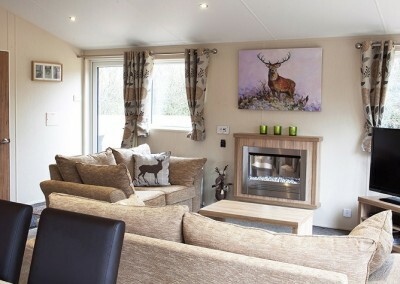 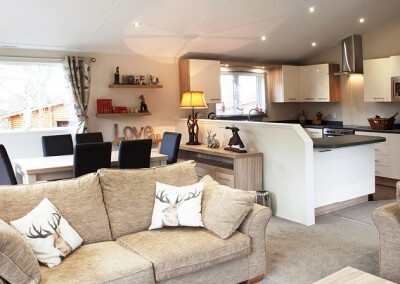 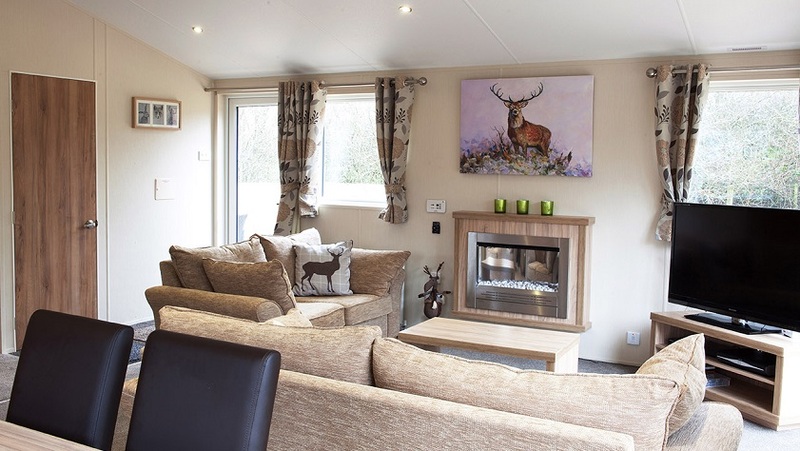 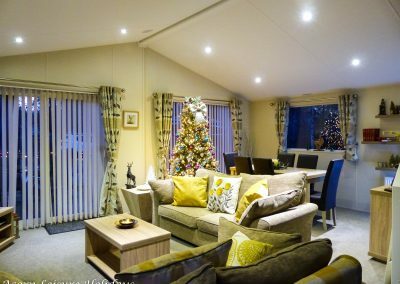 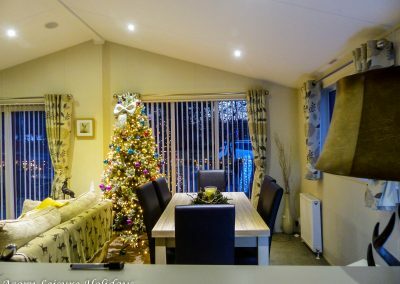 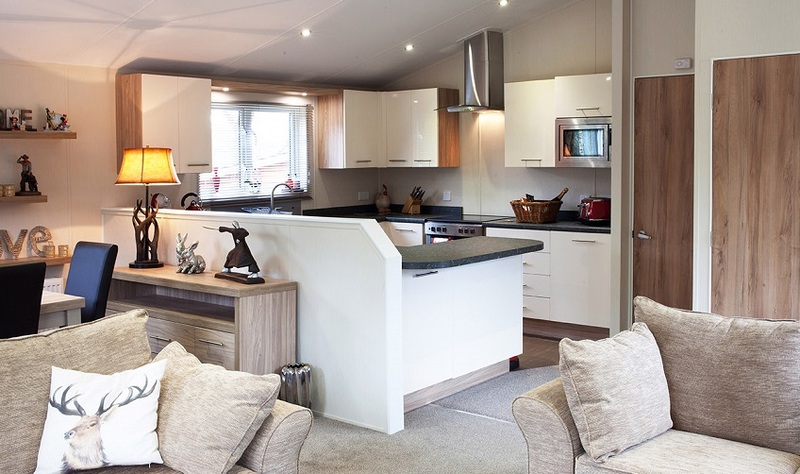 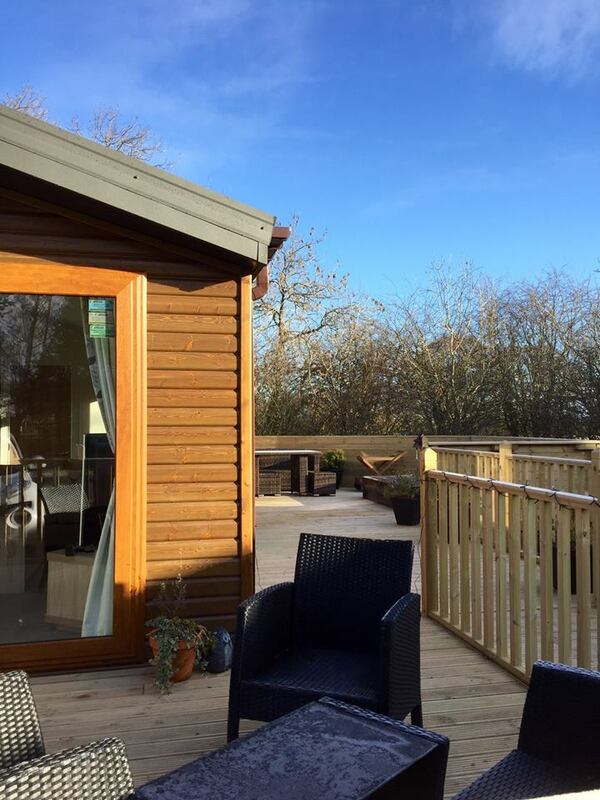 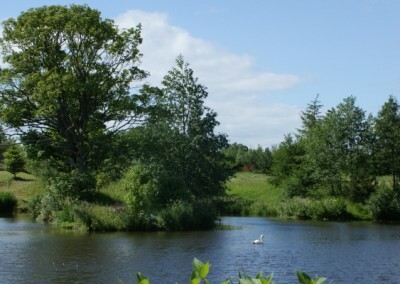 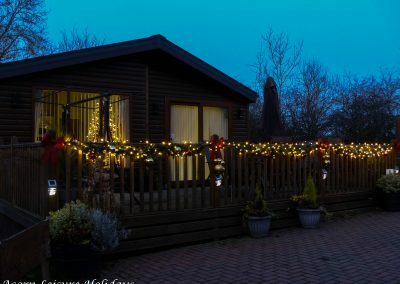 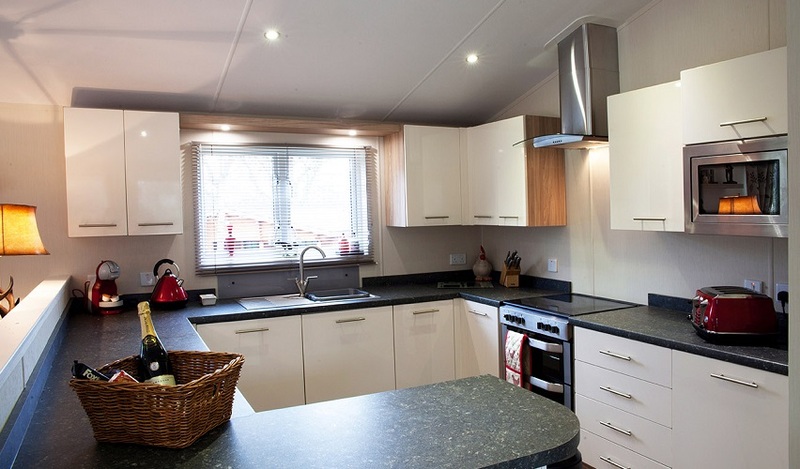 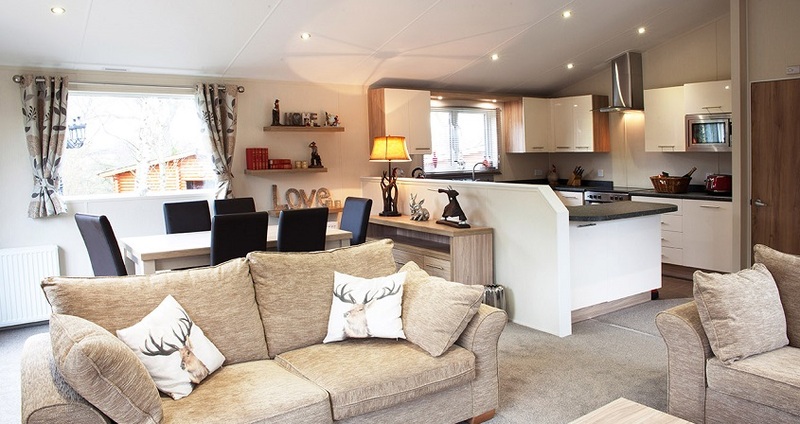 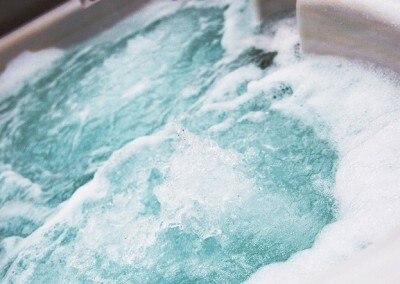 Woody’s Lodge is a beautiful 3 bedroom property located in a quiet cul-de-sac on Felmoor Holiday Park, Northumberland. 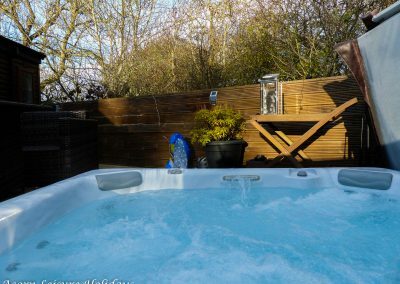 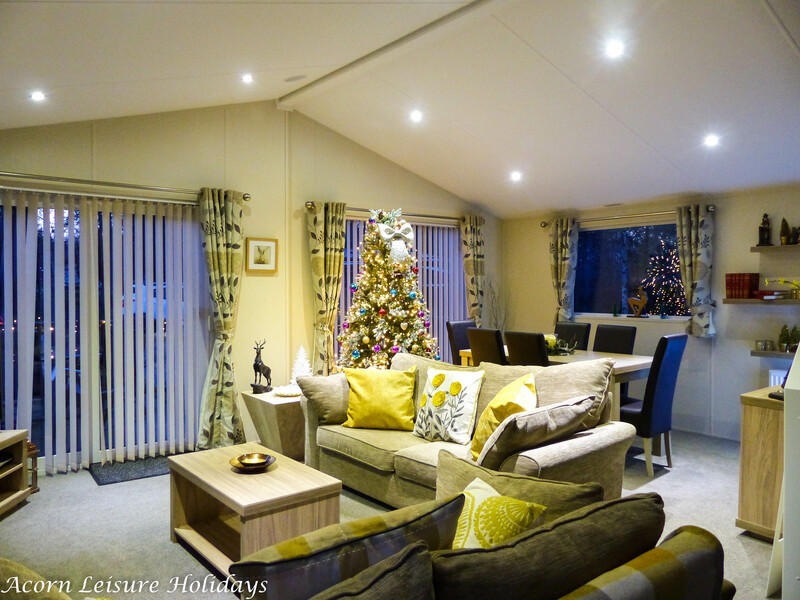 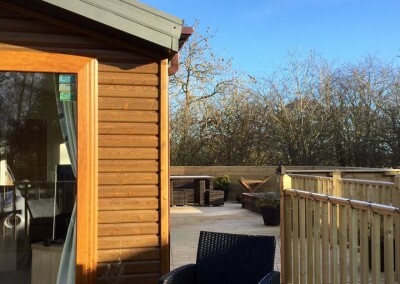 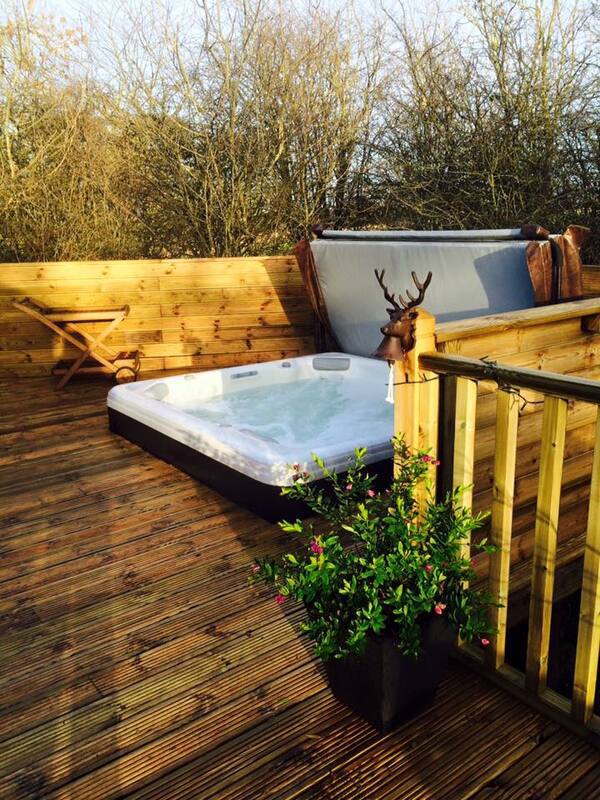 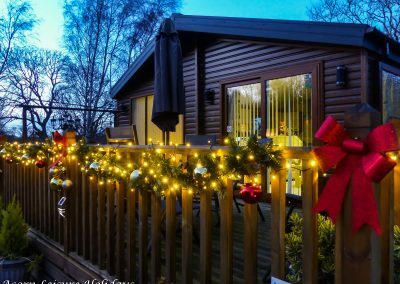 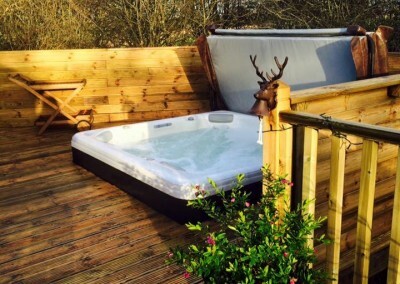 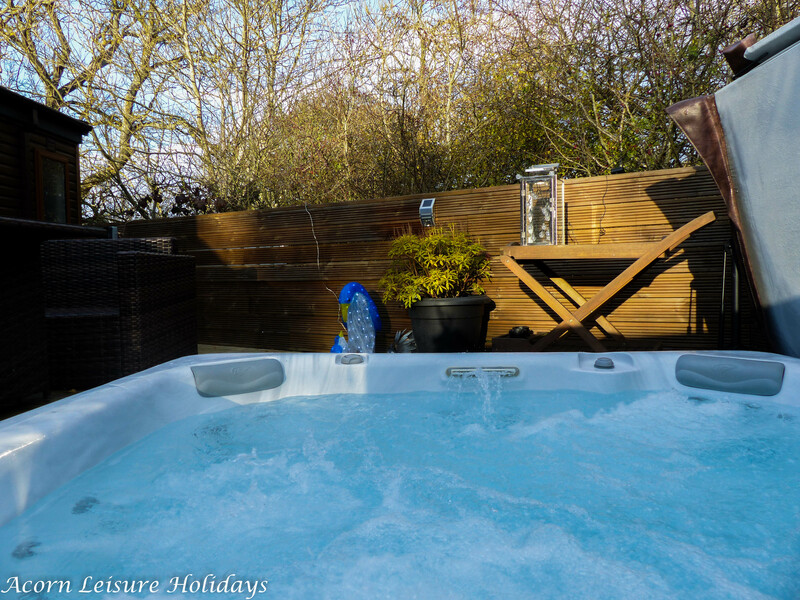 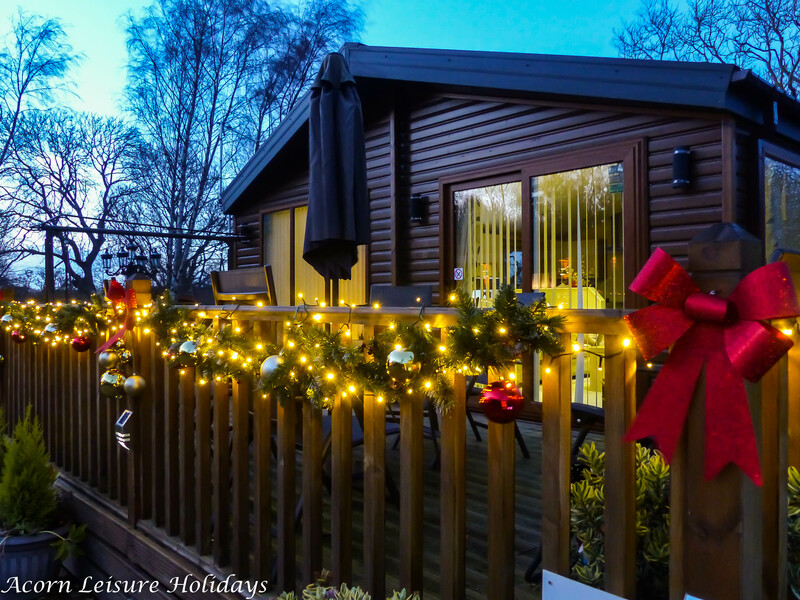 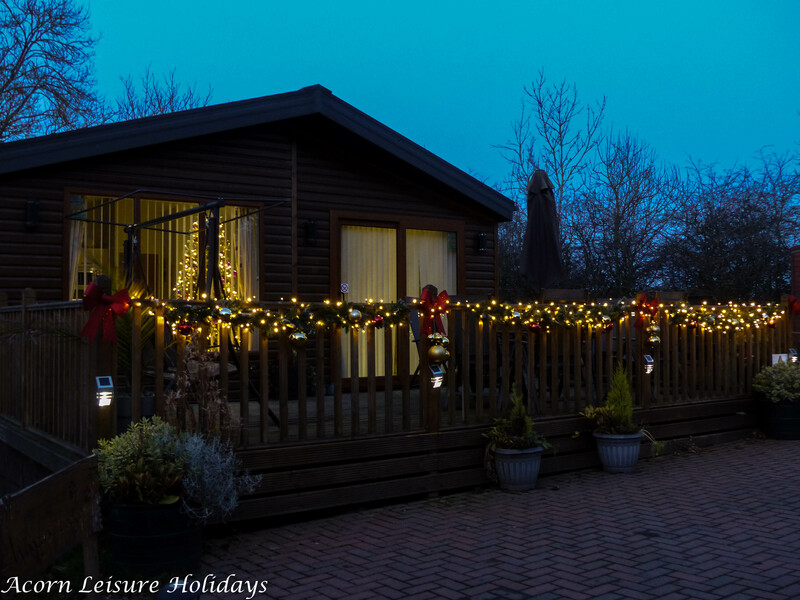 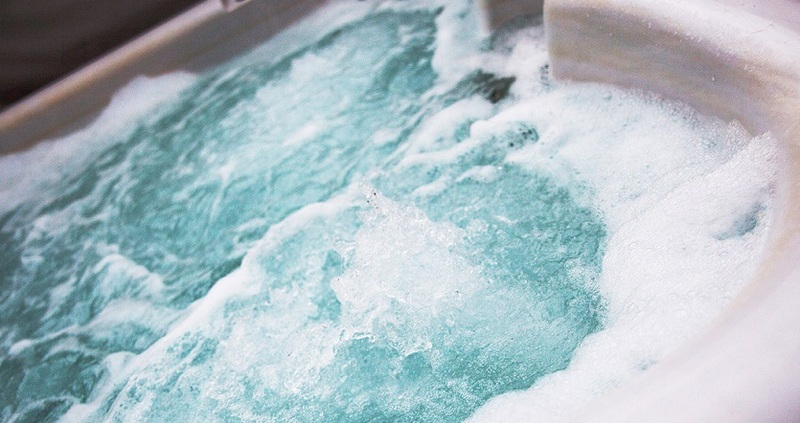 The three bedroom lodge boasts a spacious outdoor area for you to relax and comes complete with a large deluxe hot tub that can accommodate up to 6 people with ease. 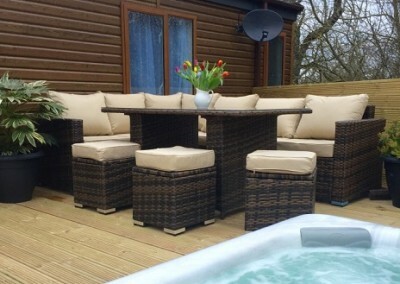 A large dining area with a corner sofa arrangement and additional chairs is located to the rear of the property overlooking the sunken hot tub. 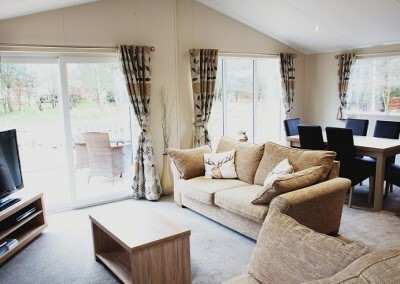 At the front of lodge we have an additional dining area, so wherever the sun is you can follow and relax in comfort. 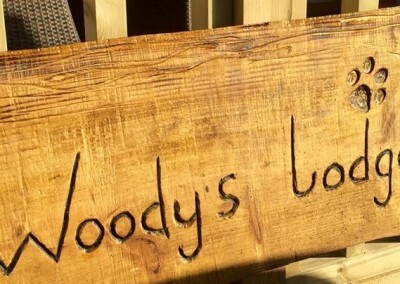 You will also find a swing at the front of Woodys Lodge, perfect for those summer evenings. 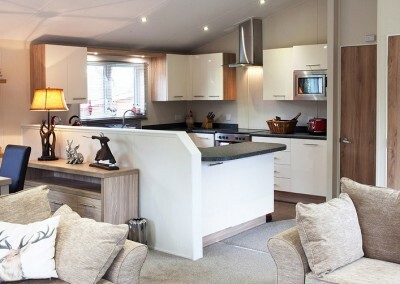 Inside the property you will find a spacious open plan living/dining and kitchen. 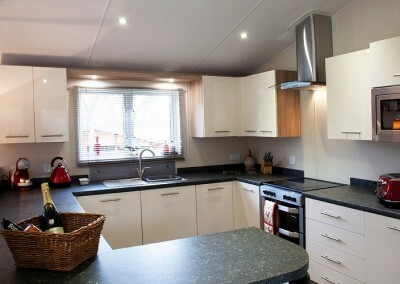 The kitchen is fully equipped with everything you would expect to find in a home away from home property. 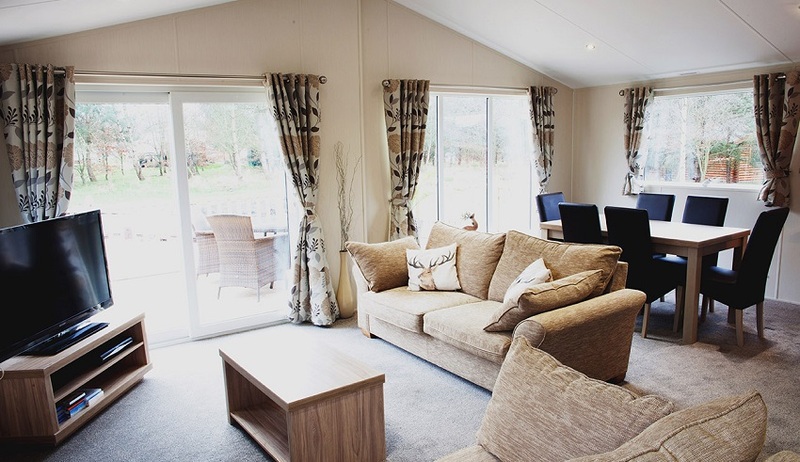 Additional home comforts have been added, including sky TV (including Sky Sports), PS3 games console, krups coffee pod machine and towelling robes. 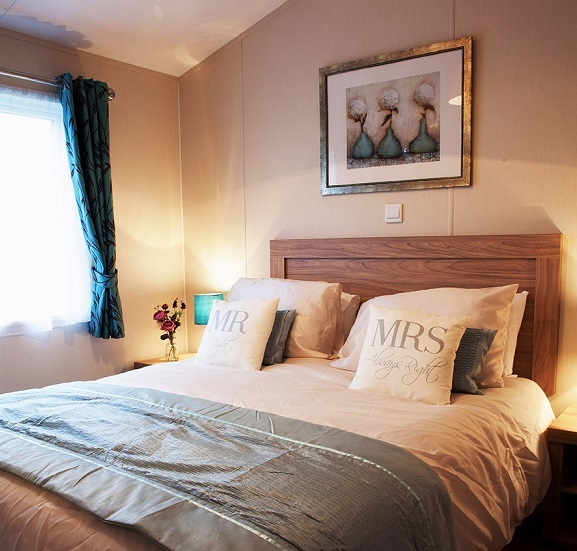 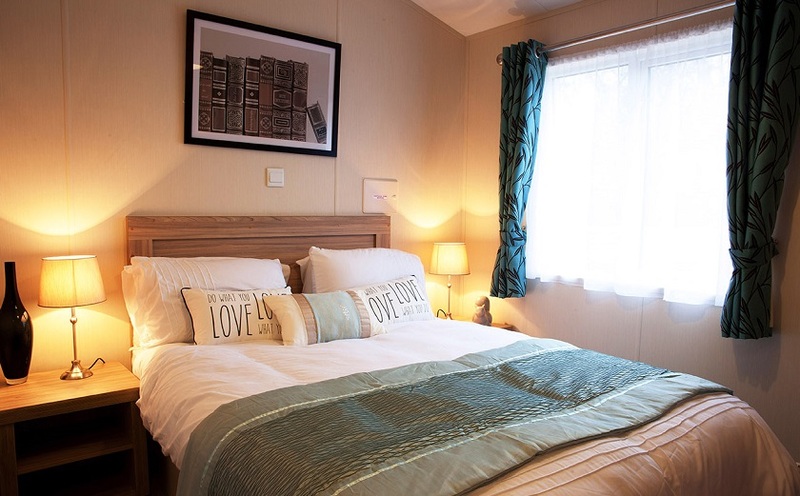 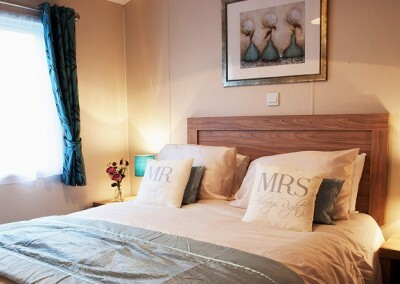 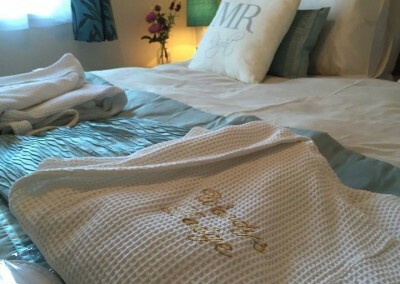 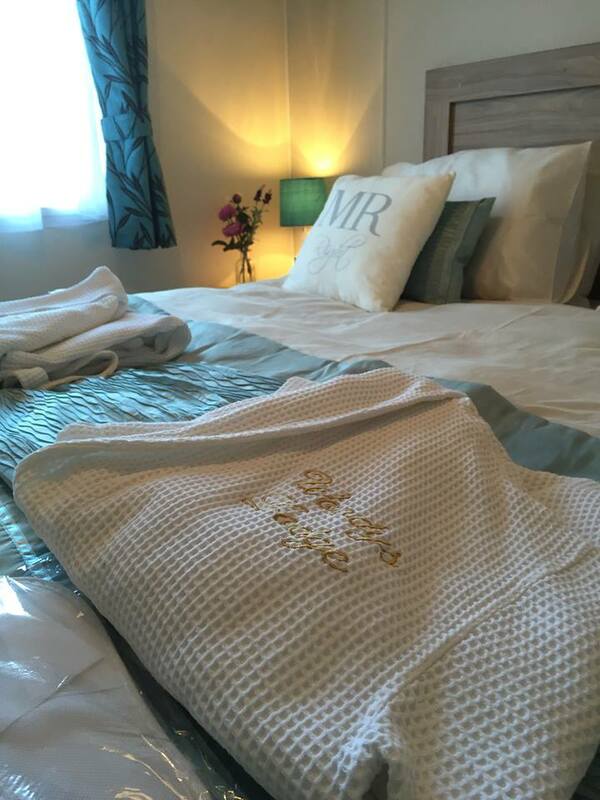 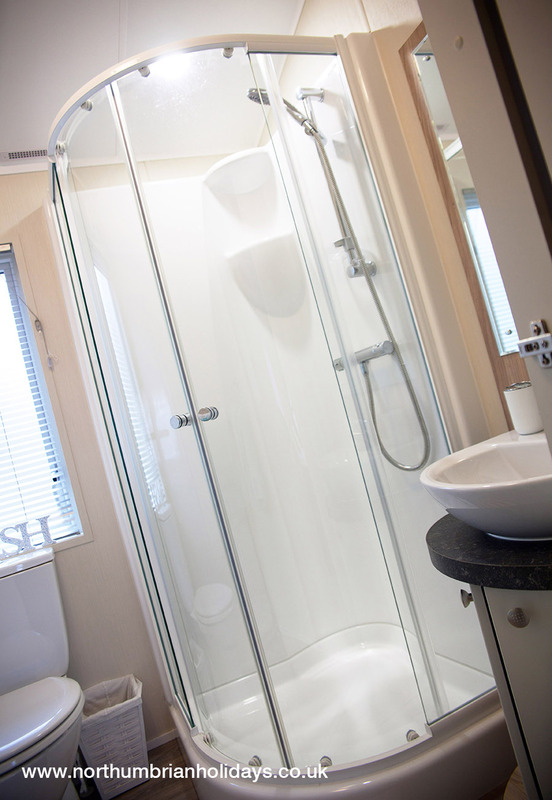 The main master bedroom (king) has a walk in wardrobe with en-suite WC and shower facilities, the double bedroom has its own dresser table and sufficient wardrobe space. 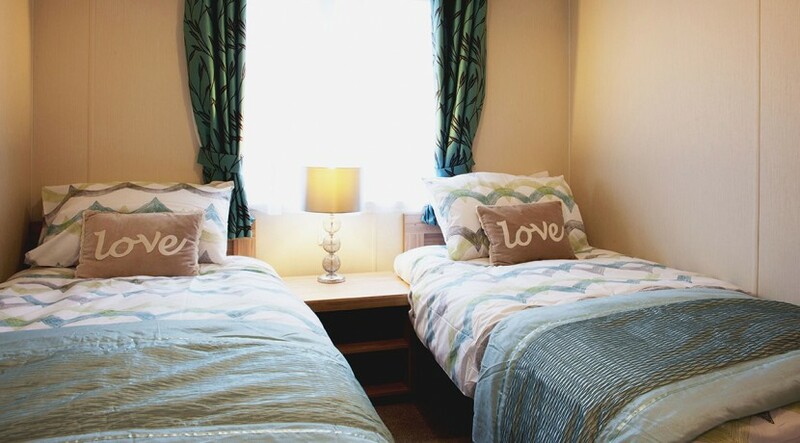 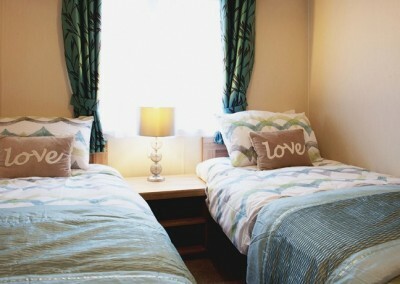 The third bedroom consists of full size twin beds, a bedside table, flat screen TV and a cupboard. 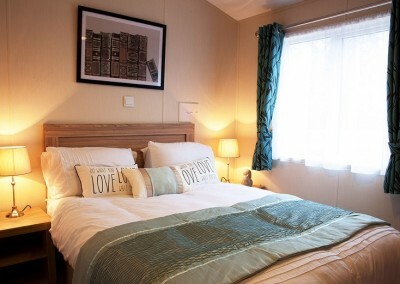 All three bedrooms come equipped with a flat screen TV. 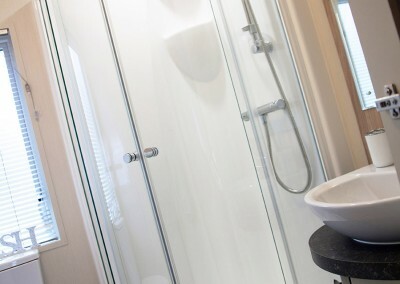 The master bathroom consists of WC, basin and shower cubicle and the lodge comes with central heating, making it the perfect all year round for those mini breaks away. 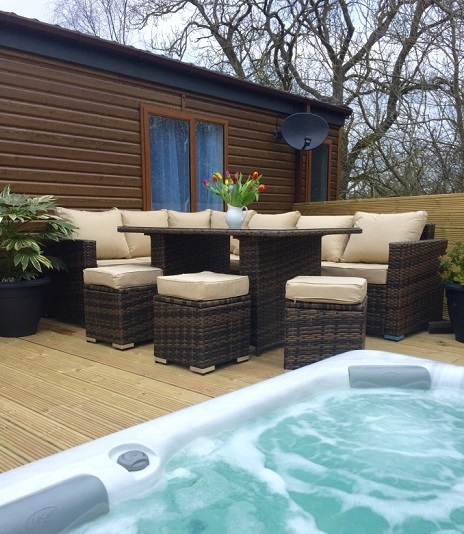 Woody’s Lodge is the perfect place to relax and unwind. Both Woodys Lodge and Stag Lodge which are sited across from one another are perfect for large groups of families and friends.